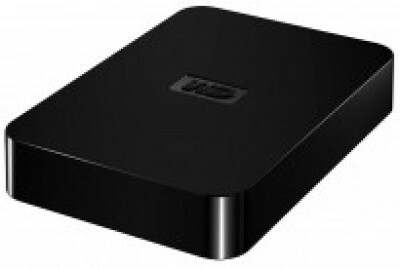 Get great discount on WD Elements SE 1 TB USB 3.0 Hard Drive (Black) | Online India shopping best deals, discount,coupons,Free offers. In today’s digitalized world, it is understandable that all your data is important to you. Which is why WD Elements brings to you the SE 1 TB portable hard drive, which gives you the freedom to keep all your important files with you, wherever you go. Universal Compatibility With this external hard drive, you get the USB 3.0 compatibility with a host of both USB 3.0 and 2.0 devices. The USB 3.0 connectivity also leads to faster file transfer from and to the hard drive. Easy-to-use This high-capacity storage device is easy to use. You can effortlessly plug it in to your system and instantly use it..The product WD Elements SE 1 TB USB 3.0 Hard Drive (Black) is from the famous brand WD. The product is currently available with the amazing discount from FlipKart.Currently a discount of 29.0% available for this product. Great discount for this product which has the original price of Rs.6500.0 and you get these amazing products for a discounted price of Rs.4610.0. Hurry up. Stock may be limited.